Good news for all those residents calling for a legal framework to deal with the issue of cockatoo damage to property. At this week’s council meeting I moved a motion to explore the possibility of a local law to deal with people who continue to feed cockatoos (see blog). The motion was supported unanimously by councillors (note: Crs Jeanette McRae and Noel Cliff were apologies). 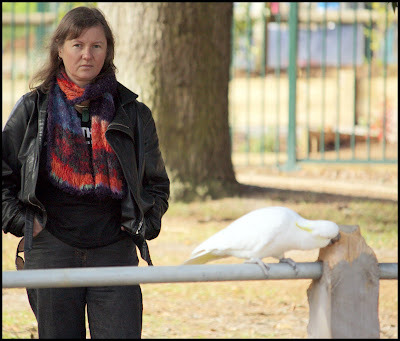 In the past the notion of a bylaw to deal with the issue of cockatoos was talked about when Upwey was under attack in 2008, however nothing was brought to council for consideration. I made a commitment to residents at a public meeting in Kallista to explore the ability to have a legal framework to deal with the issue of residents who continue to feed cockatoos in the full knowledge that these cockatoos are causing damage to neighbouring properties. The shire is also working with the DSE on education materials to inform residents of the consequences of feeding cockatoos. Residents will be receiving a flyer in the near future.